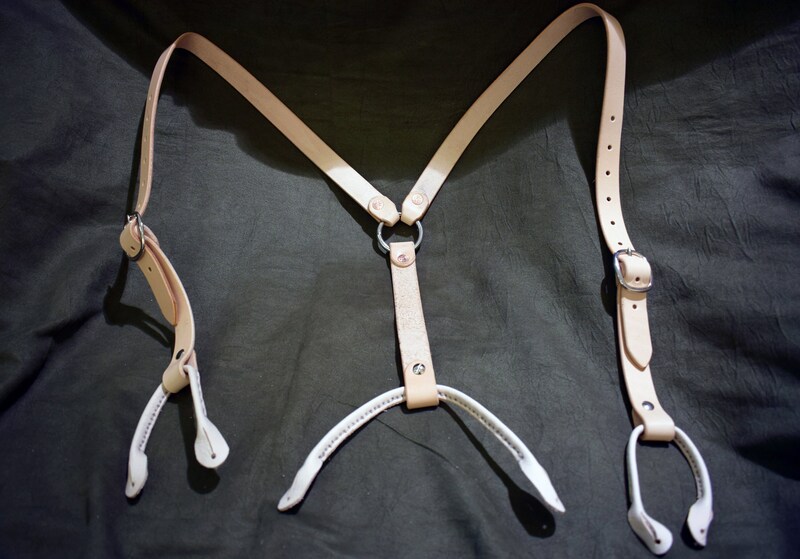 These are a set of leather suspenders with your choice of attachment styles. 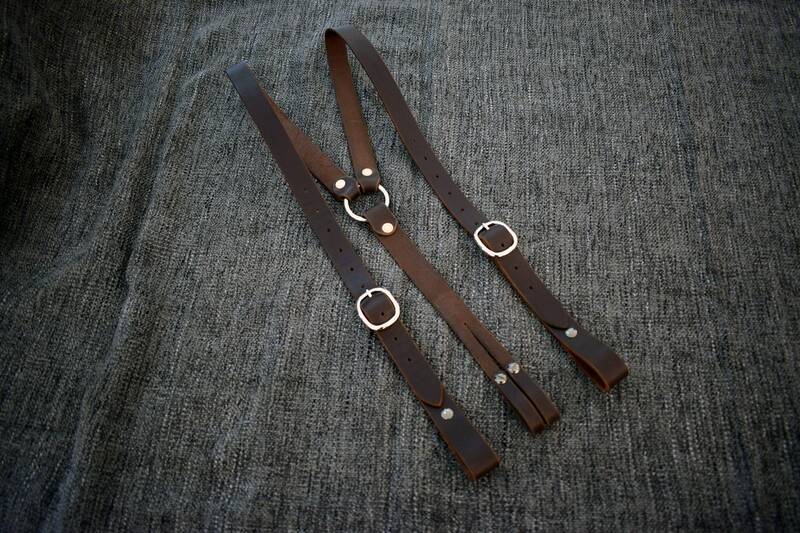 Each set is made of 1" wide 8-10 ounce latigo cowhide which connect to a solid steel ring in the back and are adjustable via buckles on each front strap. You have the option of steel spring clip, belt loops, traditional button loops, or combinations of each. The belt loop option is split in the back, to allow the loops to rest on either side of the belt loop in the back of your pants. 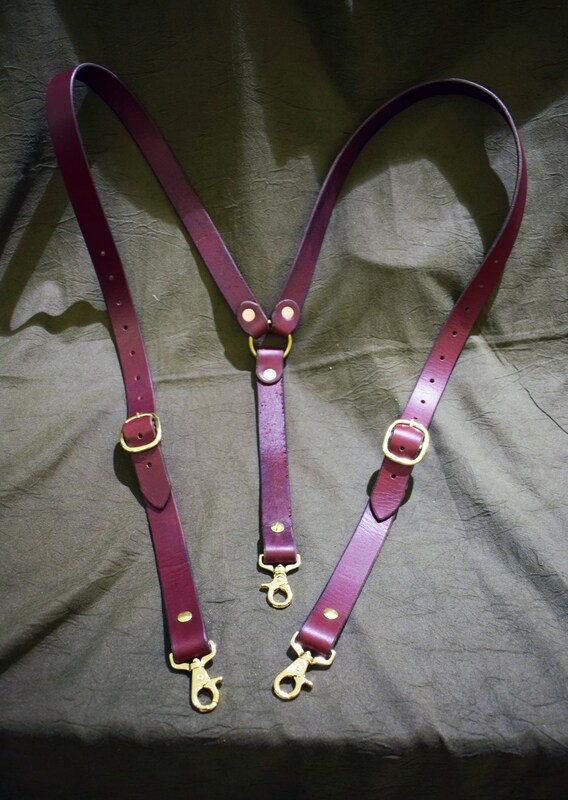 If you choose the combination options the loops are connected to the straps via Chicago screws, so they are easily interchangeable. 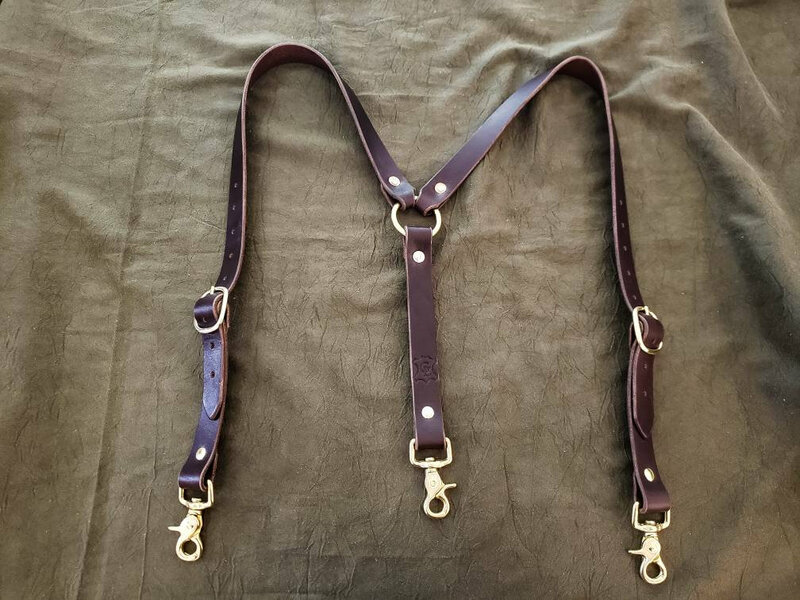 If you choose just one option, the clip or loops will be riveted onto the strap, if you'd like to only choose one option but keep the interchangeable option, let me know when you order and I'll make yours with Chicago screws instead of rivets. 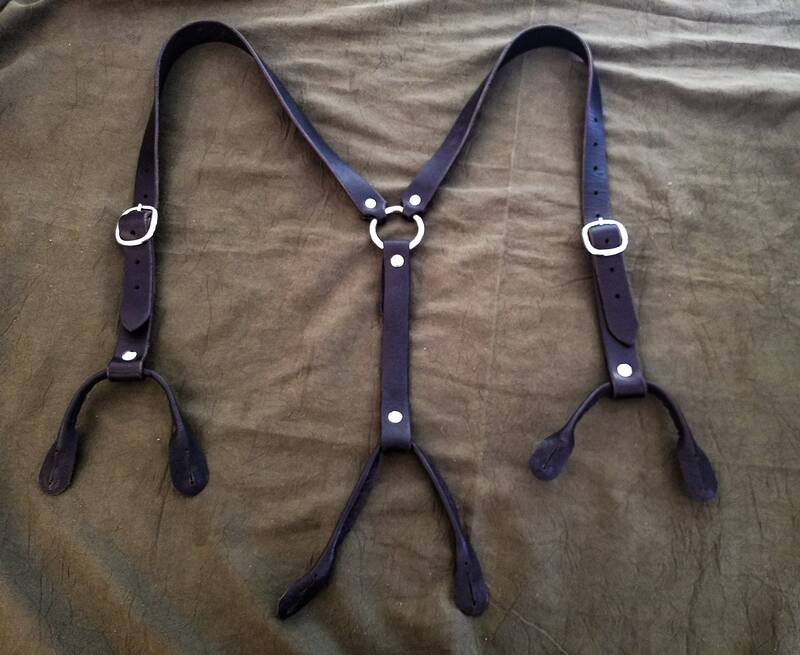 These are adjustable, so they are a "one size fits most", if you're of an irregular stature, let me know and I can do a custom size for no extra charge. 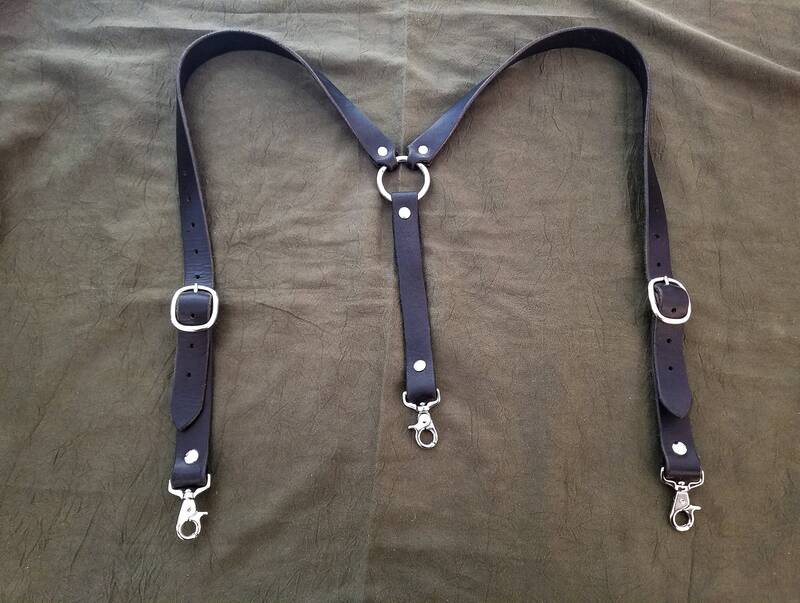 Want brass buckles instead of steel? customization is available, feel free to message me for details. Do you have any items in Stock, ready to ship? Everything we offer is made to order, so will take a minimum of one week to ship out. Our items are all made by hand. We do not mass produce anything, and every item has been designed, tested, and created by us. A lot of time and effort has gone into every item we offer, and we do our best to make sure that everything that leaves our shop lives up to our standards and hopefully yours. Can you make a sheath for a knife other than the ones offered here? We only offer a few different sheath options, but we operate out of a large brick & mortar cutlery store, so there's a chance we have the knife you're looking for. Contact us to set up a custom order. Do your holsters meet IDPA regulations? All of our belt holsters meet IDPA regulations, but our shoulder holsters do not. Are your leather sheaths lined with Kydex? To put in bluntly, if your leather sheath does what it's supposed to do, you shouldn't need to put a different sheath inside of it. 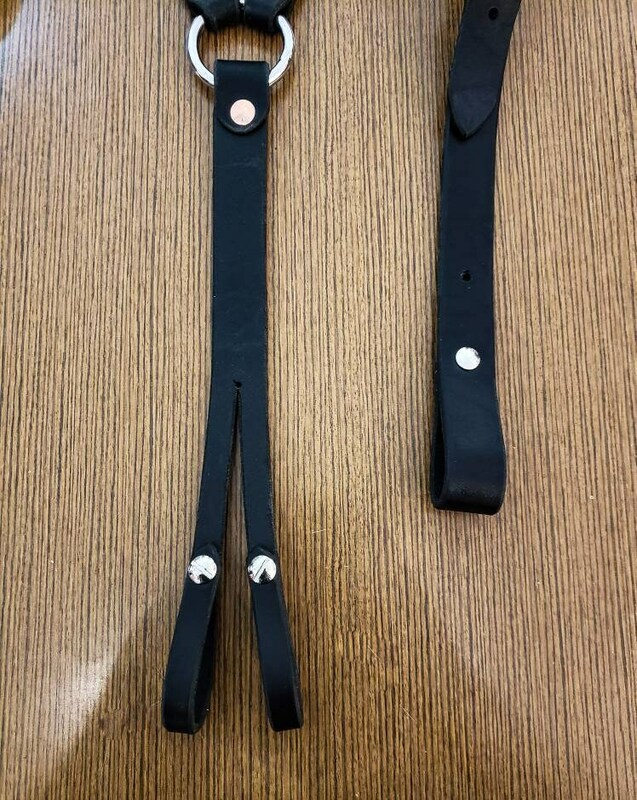 Our leather sheaths function very well being made out of leather, and our kydex sheaths work very well without a leather lining. 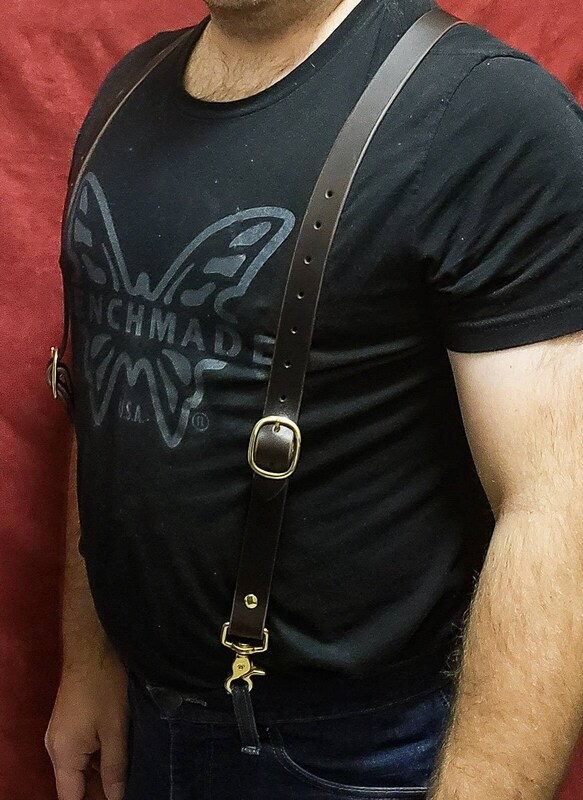 I was taken back how comfortable and how clean the leather suspenders are. 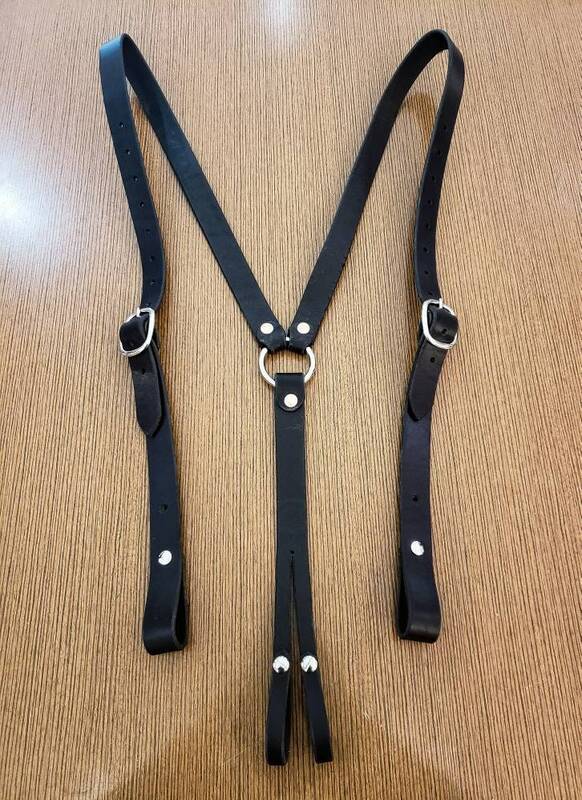 10/5 honestly it’s nice because for me it holds up my pants without that stretch and it’s a nice change of suspenders never thought how much I’d like these! This item is amazing!!! It fit perfectly. It’s super sturdy and exceeded expectations. Will definitely buy again.